Gail Fiorini-Jenner of Etna, California, is a writer and teacher married to fourth-generation cattle rancher Doug Jenner. They have three children, seven grandchildren and live on the original homestead. Her first novel Across the Sweet Grass Hills, won the 2002 WILLA Literary Award. She co-authored four histories with Arcadia Publishing: Western Siskiyou County: Gold & Dreams, Images of the State of Jefferson, The State of Jefferson: Then & Now, which placed in the 2008 Next Generation Awards for Nonfiction and Postcards from the State of Jefferson. She co-authored Historic Inns & Eateries in the State of Jefferson, featuring 30 locations and their recipes. 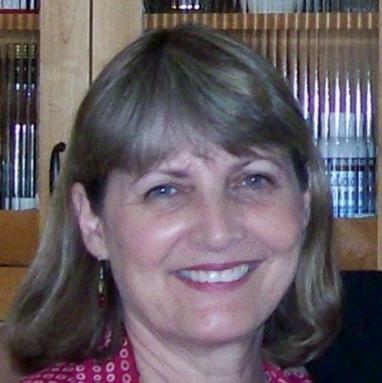 Fiorini-Jenner has placed in several writing contests: The Jack London Novel Contest; The William Faulkner Story Contest; The Writer's Digest Inspirational Story and Screenplay Contests. She appeared on History Channel's How the States Got Their Shapes, and NPR's West Coast Live. She also writes for Jefferson Backroads. One of the earliest pioneers of Shasta County, Calif., Alonzo Engle, was born in 1824 in Ohio. As World War II continued to rage overseas in January 1942, the U. S. Navy and other federal agencies called for assistance from regional and local groups. Charlotte Rose Henry was born in 1922 in Redding, but the first home she recalled later was in Cottonwood, Calif., across from the family’s store. On February 27, 1940, more than two inches of rain fell in six hours in Redding, Calif., the storm contributing to seasonal rainfall of more than 42 inches, about twice the normal amount. Francis Kennedy Hamilton watered circus elephants as a boy and edited Ernest Hemingway’s writing as an adult. One of Siskiyou County’s early scoundrels, Sailor Jim, whose real name was Danforth Hartson, reportedly shot Indians and was believed to have been involved in a murder for which he was never tried. Townspeople looked upon him with suspicion and disdain.